Katie Owens, a 2012 Judge K.K. Legett Fellow at the Washington Legal Foundation and a student at Texas Tech School of Law. 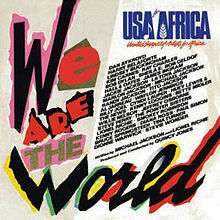 In April 1985, the #1 song on the Billboard Charts was “We Are the World,” the all-star collaboration with the familiar refrain “We are the world, we are the children.” Written by Michael Jackson and Lionel Richie, this effort combined the forces of various recording artists to raise awareness of and money for the famine in Ethiopia. Fast-forward twenty-seven years later and organizations such as Kids vs. Global Warming and Our Children’s Trust are still singing the same tune, only today, they are not using this sympathy card to provide food to the hungry, but instead to sue the secretaries of several United States agencies for breach of the alleged fiduciary duty to protect the atmosphere as a commonly shared public resource under the public trust doctrine. Across the nation, interest groups are using children plaintiffs in an attempt to tug at the heart strings of district court judges so their lawsuits can overcome pre-trial hurdles. Fortunately, this strategy has yet to succeed. On May 31, 2012, in the latest decision of its kind, the U.S. District Court for the District of Columbia dismissed Alec L. v. Lisa P. Jackson for lack of subject matter jurisdiction. The plaintiffs consisted of five young citizens and two organizations, Kids vs. Global Warming and Wildearth Guardians. Plaintiffs’ one-count complaint alleged violations of the federal public trust doctrine rather than any specific federal law or constitutional provision. The court held that the public trust doctrine originated under state common law, and therefore it had no federal question jurisdiction to hear the case. More importantly, however, the court rejected the plaintiffs’ attempt to distinguish their case from the U.S. Supreme Court’s ruling in American Electric Power Company v. Connecticut. In AEP, the Supreme Court said that even if public nuisance was at one time a federal common law claim, the Clean Air Act, a federal regulation, has now replaced it. The Court further stated that plaintiffs should not seek regulatory enforcement of emissions regulations from federal judges, but rather from the Environmental Protection Agency. The Court acknowledged that federal courts are sometimes called upon to craft remedies, “[b]ut that reality does not mean that every dispute is one for the federal court to resolve, nor does it mean that a sweeping court-imposed remedy is the appropriate medicine for every intractable problem.” Instead those powers should be left to the discretion of the legislators as set forth in our Constitution.